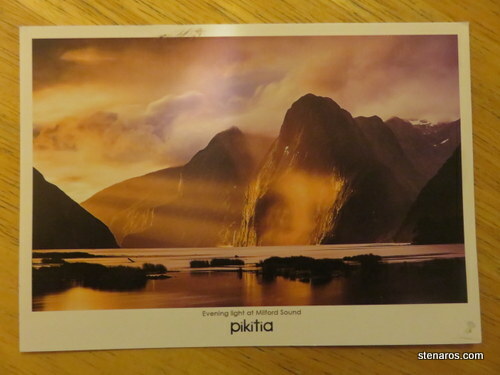 Sara sent me this postcard with the express purpose of commenting on my recent observation (sent to her via postcard) that despite a postage increase, the post office is sticking with the blandly offensive seashell postcard stamps. Ugh! 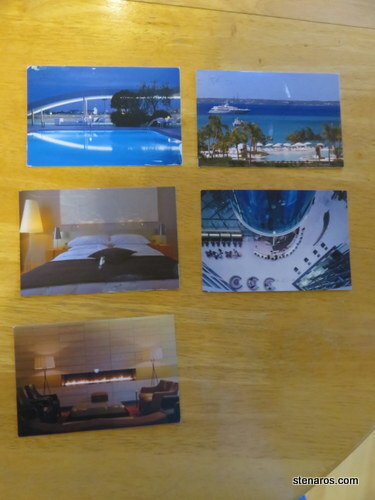 At least there was a nice postcard to tempter my disappointment. 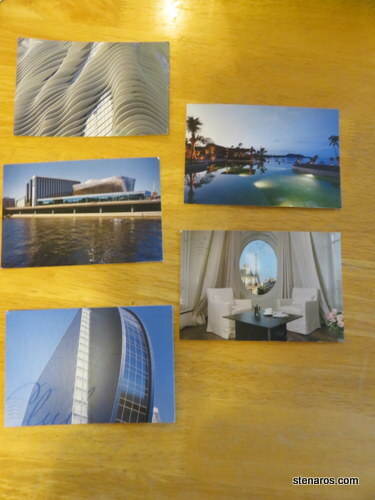 You know you’re corresponding with an academic when you get postcards like these in the mail. Sara speaks of her dissertating. 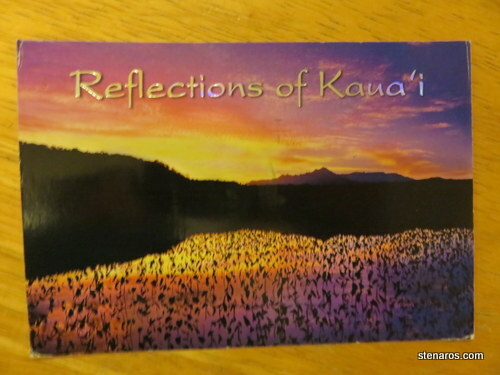 The day before she mailed this postcard was the start of the three-month countdown, presumably to defense day. That seems very close, both to Sara and to me. I know she’s going to do a bang-up job though. Movies listed in the series: The Bad Seed, The Big Sleep, The Curse of the Cat People, Mildred Pierce, Shadow of a Doubt. It looks like a good film series. Someday, when my life arranges itself in a different order, I hope to be able to attend film series such as these. 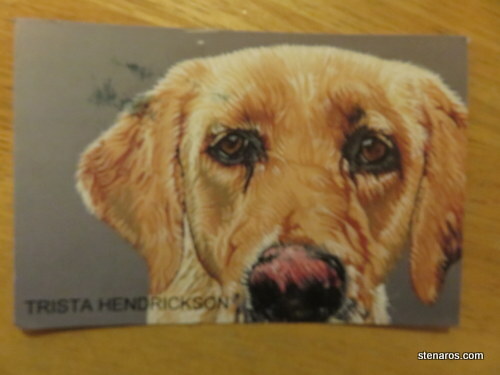 Trista Hendrickson does custom pet portraits and this postcard and the one below arrived today. 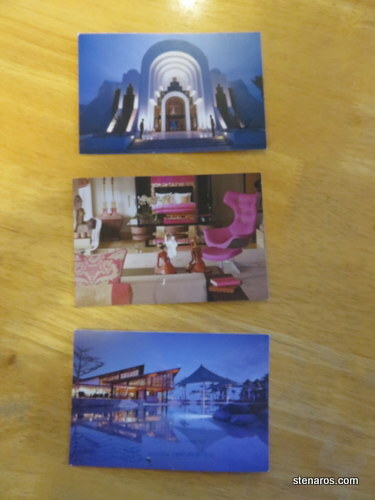 They are, alas, 2 of 3 and 3 of 3, so we will have to wait until the first one arrives, but any day with mail is a good day. 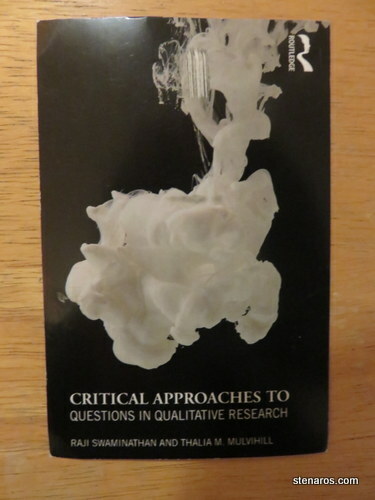 In this card, Sara tells me she is planning a dissertation writing retreat, which I happen to know she has done and that it went well. 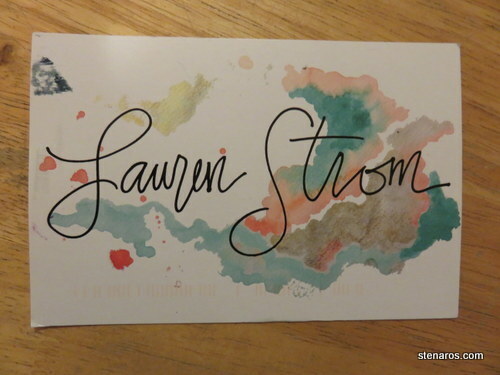 She also reminded me that she sent me a picture of Lauren Strom’s work over Instagram. 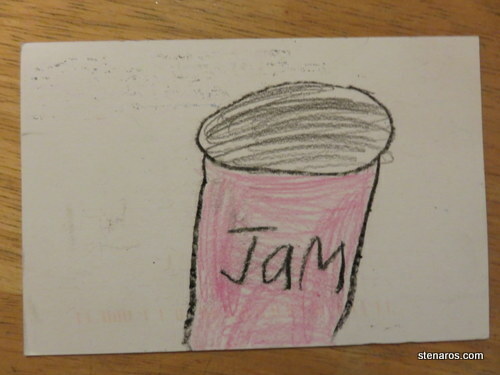 I couldn’t recall the picture until I went to Ms. Strom’s Etsy shop (which you can find here). Then I knew what she was talking about. I don’t think this is the greatest introduction to Lauren Strom’s work, but I really like her stuff. 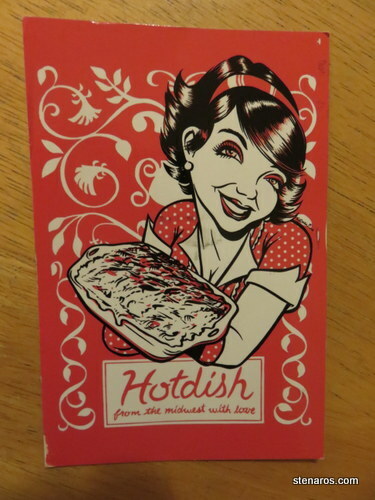 Sara has sent me a hotdish postcard. While she was writing it, she reports that we were texting. Texting and social media. 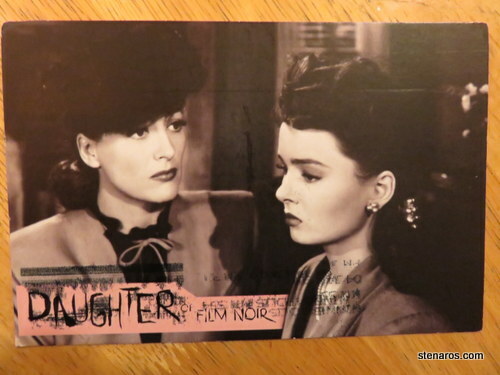 The bringers of death to the postcard culture. 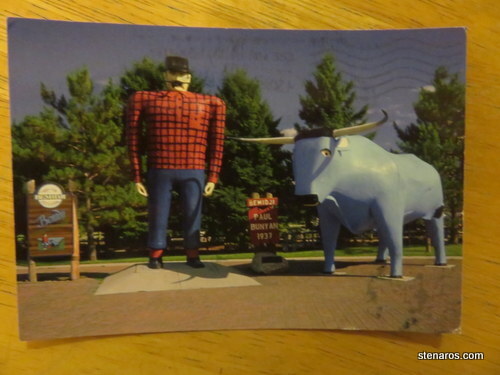 It makes me glad we can both text and send postcards. I find this woman’s eyes creepy. 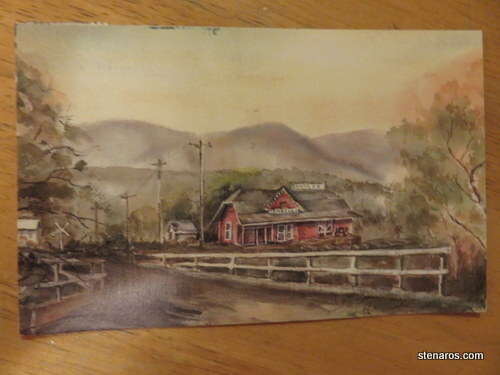 Friend Jan went to Temecula and sent me this pretty postcard of the Santa Fe Railroad station. She was there to go on the Temecula walking tour, but there weren’t any docents to lead it. Instead! A visit to the museum, which she enjoyed.